LIMA, Peru Defense Secretary Leon Panetta lashed back at Afghan President Hamid Karzai Friday, saying the Afghan leader should say thank you now and then to the allied forces who are fighting and dying there, rather than criticizing them. 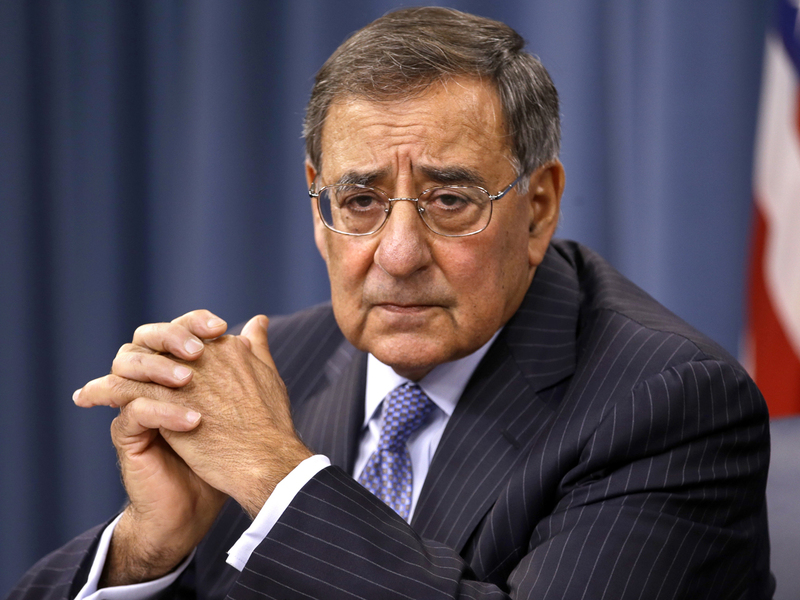 Panetta was responding to Karzai's complaints Thursday that the U.S. is failing to go after militants based in Pakistan, and instead is concentrating on the insurgents in Afghanistan. "We have made progress in Afghanistan because there are men and women in uniform who have been willing to fight and die for Afghanistan's sovereignty," Panetta snapped, as he spoke with reporters traveling with him to South America. "Those lives were lost fighting the right enemy not the wrong enemy and I think it would be helpful if the president, every once in a while, expressed his thanks for the sacrifices that have been made by those who have fought and died for Afghanistan, rather than criticizing them." The uncharacteristic shot from Panetta comes as tensions between the two countries have escalated over the increase in insider attacks, where Afghan security forces or insurgents dressed in their uniforms have turned their guns on coalition troops. And it raises the temperature on the heels of the announcement that, as of last weekend, 2,000 U.S. troops had lost their lives in the war. At the same time, however, there is persistent frustration with the insurgents, including members of the Haqqani network, who wage attacks against coalition forces in Afghanistan and can then retreat to their safe havens in Pakistan. U.S. officials have repeatedly pressed Islamabad to more forcefully go after the insurgents, including Haqqani factions in and around North Waziristan. But, the U.S. also routinely uses drone strikes across the border into Pakistan to target and kill militants. Karzai spoke at a press conference, complaining that if NATO troops want to go after terrorists they need to go where their safe havens are. And he also expressed frustration that Afghan forces aren't getting the weapons they need from NATO allies, suggesting Afghanistan might have to go to other countries such as China and Russia to get them. Panetta's sharp retort also comes just days before he and other NATO defense ministers meet in Brussels to discuss the war and the road ahead, as allied forces begin to withdraw and transfer security to the Afghans. And the exchanges could fuel concerns among NATO allies that the insider attacks may be eroding trust between coalition and Afghan troops, making security transition all the more difficult. Panetta has not spoken to Karzai for several months, and last met with him in December when he traveled to Afghanistan to meet with commanders and visit troops before the holidays. Both Panetta and Marine Gen. John Allen, the top U.S. commander in Afghanistan, will attend the NATO meeting. Asked whether the insider attacks could prompt some allies to seek a faster withdrawal from Afghanistan, Panetta reaffirmed support for the current timeline that has combat troops leaving the warzone by the end of 2014 and turning security over to the Afghan forces. Officials have said that as many as 20,000 U.S. troops could remain over time, to continue training and counterterrorism efforts. "My goal is to make clear to NATO and to our allies that we are taking all steps necessary to confront this issue and that it should not be allowed to deter us from the plan that General Allen put in place," Panetta said. To date there have been 53 NATO troops killed in insider attacks, prompting military leaders to briefly curtail some partnered operations and set up a new approval process for those that involve smaller units.